Providing expert heating and cooling services whenever you need us! sales, services, and installation of quality, high-effective HVAC systems. Save money on your utility costs and do something for the environment. Stay warm this winter with a custom fireplace. When looking for expert heating and cooling services, you can trust Arnold Brothers Heating & Cooling to be there by your side. Since 1960, we are proud to have built our reputation on our honest and reliable services. We stay abreast of the newest technology out there in the market today to provide you with the most energy efficient products. 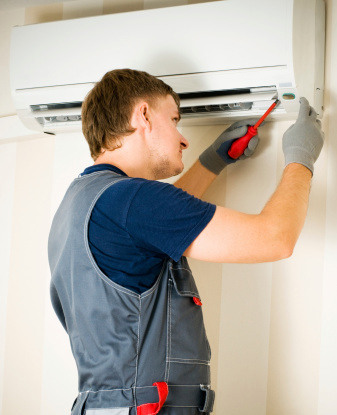 Our trained and professional staff can provide service to all heating and cooling products regardless of make or model. We also offer complete preventative maintenance agreements to help diagnosis and fix any potential issues that could lead to costly repairs in the future. Call Arnold Brothers Heating and Cooling today at 309-833-2852 for your FREE estimate on your installation needs. © 2019, Arnold Bros. Heating & Cooling. All Rights Reserved.